Finger rings are all the rage! 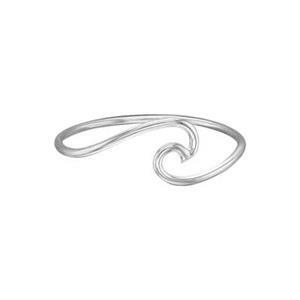 This handmade, wave finger ring looks great on its own or can be added to a stacked set of rings. You can also solder on a tube bezel with a loose stone to add your own creative design element. Have fun with all of the possibilities!